This 70'' diameter round all cotton unfinished yellow and blue French tablecloth panel coordinates with Provence print #79. 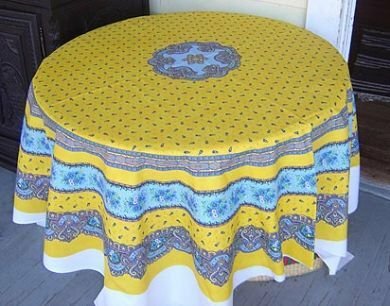 This tablecloth was photographed on a 48'' table. Panels can be finished with binding tape or with a rolled edge. OR think of a beautiful summer skirt!